This weekend we can immerse ourselves in this lovely material, aware of the loss of the feminine. We shall be looking at some of the myths and legends that accompany our heroine: The Quest for the Holy Grail...Demeter & Persephone.....personal, yet how magical to re-visit them at a higher octave too, the collective and transpersonal. This weekend we shall weave in the experiential, finding ways to open doors to the 'Once-Upon-a-Time' of the individual in a way that reflects the imaginal approach of Rock Bank. £130 (some concessions please enquire) Friday 6.00 for 6.30pm till 10.00 Saturday 9.30 for 10.00 am till 6.00 Sunday 9.30 for 10.00am till 2.00 Tea and coffee provided. Lunch ( pubs in village or bring your own) Overnight accomodaion available. Tolkien: Maker of Middle Earth? J.R.R Tolkien is almost universally regarded as the Maker of Middle Earth and yet he would not have bestowed such a title upon himself. He regarded himself more as a honoured guest within the region rather than it's creator. questions, lest the gates should be shut and the keys be lost. Looked at in this way fairy – stories clearly open a door into another realm and those who pass through, even for a moment, step beyond their time and maybe, even beyond time itself. Yet what is this realm, this mysterious other dimension ...far away and ever near – and who are the characters that inhabit it? Tolkien named it Faerie, a realm of power he said and fantasy is the means of entering it. Carl Jung, the Swiss analyst called it the collective unconscious, to be reached via his notion of active imagination, whilst Henry Corban, the Suffi inspired French philosopher called it the imaginal or mundus imaginalis reached in prayer and meditation. A philologist, a psychiatrist and a philosopher yet quite clearly visionary artists too, drawn through powerful experience, deep into the transpersonal, into the mystic. and as they came, separately, so too the links grew. An absorbing, though continually interrupted labour. Yet always I had the sense of recording what was already 'there', somewhere: not of inventing. 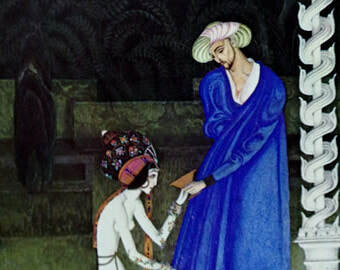 He regarded the resulting tales and paintings as a combination of inspiration and invention based upon his travels and discoveries within the realm. The intersection between the two he regarded as a fusion field of sorts within which the magic of his creations, or sub- creations as he preferred to say, occurred. Always he had the sense of being guided in his endeavours by something greater than himself. His task as he saw it was to stay attuned to that power so that the reader or viewer of the paintings might experience these things as intended. Writing to W.H, Auden he repeated what he had said to his son. for some time and that accounts for my feelings throughout that I was not inventing but recording...imperfectly...and had at times to wait for what really happened to come through. In Carl Jung's exquisite, hand written Red Book ( published 2009) that looks more like a medieval illuminated manuscript than a work of recent times, he recounts deeply personal visions and encounters with apparently autonomous aspects of the collective and transpersonal akin to those encountered by Tolkien. When he began setting these things down around 1915 he was at a stage of his life when he felt he had lost contact with his soul and had set out to re-discover it. My soul, where are you? Do you hear me? Much to his surprise and initial consternation, he was met with a reply. 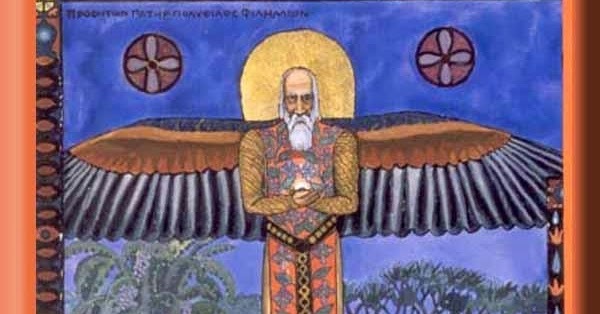 Several characters appeared and spoke most notably a wise old man, a spirit guide of sorts, named Philemon, who had appeared in Ovid's Metamorphosis and in Geothe's Faust, a character not unlike Tolkien's Gandalf. [Philemon] was simply a superior knowledge, and he taught me psychological objectivity and the actuality of the soul. He formulated and expressed everything which I had never thought. replete with archetypes and active principles that interacted between that source and human consciousness. 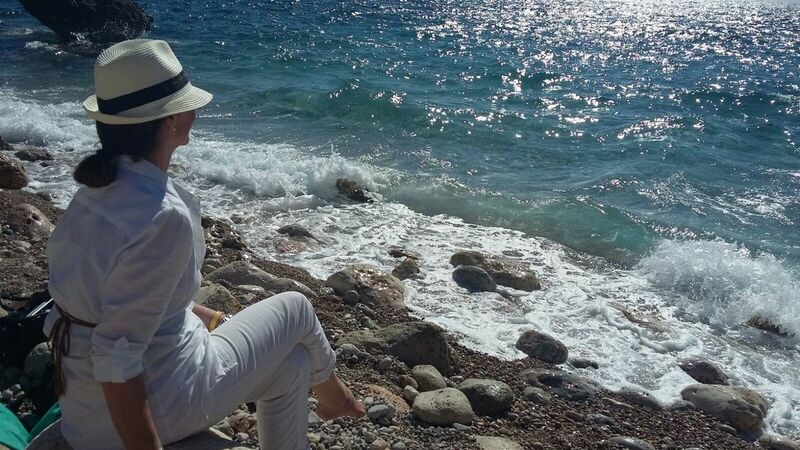 The years when I pursued the inner images, were the most important time of my life. Everything else is to be derived from this. Everything later was merely the outer classification, scientific elaboration and integration into life. But the numinous beginning that contained everything was then. In allowing such phenonema to speak: says James Hillman the American post Jungian analyst, Jung shifted the field of inquiry funementally away from the empirical toward what might be apprehended - rightly in Hillman's view - as poetic and phenomenological. Poetry is the only appropriate language for matters of the psyche, he says, the only language - save music and the sacred arts capable of rendering the mystery of the soul. 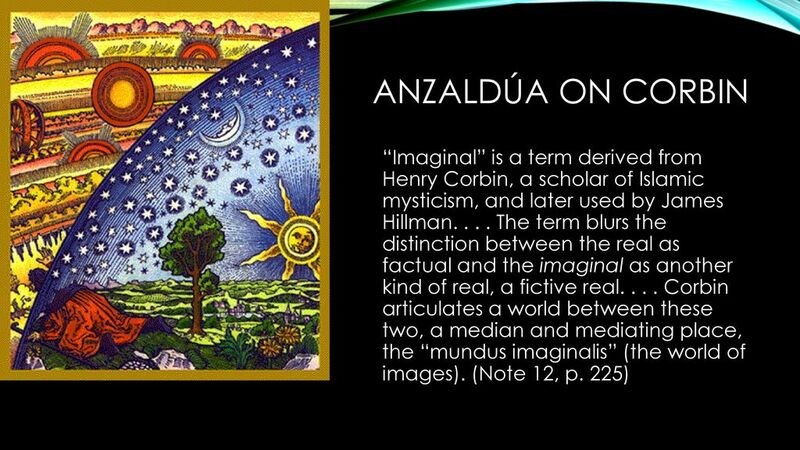 This beautiful quotation that I've heard many times on the lips of my editor & teacher Hazel Marshall, introduced me to the sublime ideas of Henry Corbin and his notion of the mundus imaginalis, the realm seemingly to close to Faerie and even aspects of Jung's great collective. Here he is writing about storytelling within the Suffi tradition in which stories, open doors to the imaginal realm and become initiations for teller and listener alike. The mystical recital says what cannot be said or make itself known ....in any other way.... for the mystic does not recount a story, he is that story...but it is story that breaks visible history, since it is the passage to that which is hidden from the appearences of this world. The mystic is the object of this meta-historic story because it is in him that it takes place and this is why he is at the same time his agent, the actor and active subject. The reciter, the deed recited and the hero of the recital are one sole and single reality and this takes place in every being, according to the measure of each being. Corbin's Suffi storyteller, Jung and Tolkien have all clearly attuned to something of a much higher order, like maybe Dante did in the Divine Comedy, or William Blake and the English Romantics in their own visionary outpourings. Joseph Campbell, the great mythographer is quite clear about how such offerings comes into being. They are glimpsed from above he says by those highly attuned souls who then render their experiences into poetic form. The visionary experiences of both Jung and Tolkien took place over relatively short periods of time when for both men writes Dr Lance S. Owens, the doors to the other realms were blown wide open. It is a testement to the sanity of both men that they were not overwhelmed by the flood of experience. Both men we know spent the rest of their lives attempting to work through and integrate the material generated during these intensely creative years. The thresholds of such realms are not always easy to cross. All the more reason then to enlist the help of a guide. Myth, legend and fairytale are replete with guardian characters, not unlike Philemon, Gandalf and Virgil. 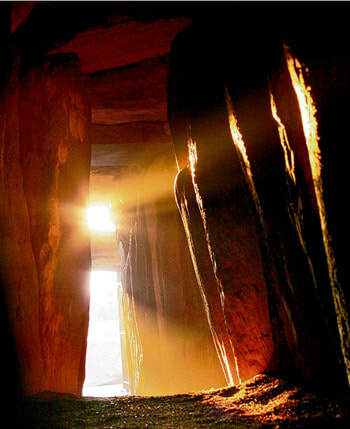 Often a ritual cleansing must be undertaken before access to the mysteries may be gained. We must remove our shoes so to speak, shift our focus away from our everyday consciousness, as these aventurers have clearly done before us. Yet humility is the quality most required in such endeavours and reverence too. It is not to be assumed that one might pass there and back again merely at will. For this is sacred ground, as Corbin reveals and sometimes we might not be able to match its frequency. We are spiritual beings of course - yet we are flesh and blood creatures too.....and so it is not always easy. The perils and pitfalls of hubris are ever present in such endeavours and so humility is our only true safeguard. Only ever by grace did Tolkien believe he was admitted to Faerie – only ever by grace had he come and gone since he was a young man in the trenches of World War One, when he had first begun to set things down to accompany the Elven languages he was developing – and later as he convalesced back in England with his beloved Edith looking after him – what wondrous light filled days they must have been – paradoxically – for they existed hand in hand with great grief and loss – and yet the comings and goings went on and on - and it must have seemed as if they would go on forever – but it was not to be – and eventually the light dimmed and his excursions became fewer and fewer until at last they were no more. Then there was only the memory of what had been. Much later, toward the end of his life, the short tale of Smith of Wootten Major came to him and he set it down in earnest. It was to be the last tale he wrote before his death in 1973. Some say it's auto – biographical in a way. Who knows! 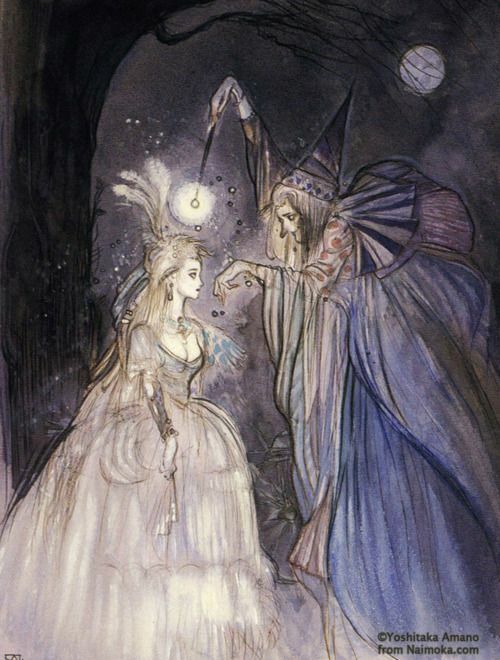 It certainly concerns the adventures of one such soul, the Smith's son, fortunate to come and go between Faerie and the everyday world by means of a fay-star discovered in a children's party cake – and it concerns the necessity too, many years later of giving up that star so that another might know its magic. I will not spoil the tale for those who have not yet encountered it but I will tell a little of it's wonders; for at the end of all his travels, Star Brow, as he became known, not only has his memories - but the gift of a Living Flower also, a keepsake given to him by a beautiful Elven maiden with whom he once danced in the Vale of Evermorn. He did not know it at the time but she was the Fairy Queen herself, the anima mundi if you like, Soul of the World. The flower did not wither nor grow dim; and they kept it as a sercet and a treasure. The smith made a little casket with a key for it, and there it lay and was handed down for many generations in his kin; and those who inherited the key would at times open the casket and look long at the Living Flower, till the casket closed again: the time of it's shutting was not theirs to choose. Grace you see: only ever by Grace. So have a mind to the words of this great man if ever you should wander in the deep, deep realms of Faery – and savour it whilst you can - lest the gates should be shut and the keys be lost. Carl Gustav Jung and The Red Book," an all-day symposium, features presentations by prominent Jungian scholars. On the 1st of June this year I had the very great privilege of attending the opening day of a major new exhibition about J.R.R. Tolkien at the Bodleian libray, Oxford. The city was full of Tolkien enthusiasts the day before when I arrived with my husband. On the way in we drove by 20 Northmoor Road, the quiet leafy street just outside the city where Tolkien had lived with his family between 1930 and 1947 and from where he wrote the Hobbit & much of The Lord of the Rings. Whilst we were parked, discreetly we hoped on the opposite side of the road, several other cars pulled up and people emerged briefly with cameras to take photos before continuing on their way. Our central hotel too was full of those who had come especially from all over the world and we overheard several fascinating conversations about the great man, whose appeal as we know is universal. Nearly one hundred thousand exhibition tickets we were told, have been booked in advance. The Bodleian library, under the direction of curator and Tolkien archivist, Catherine Mcllwaine has created a wonderful exhibition. A ' once in a life time event' announced the Telegraph, and for fans, it is indeed a treat. 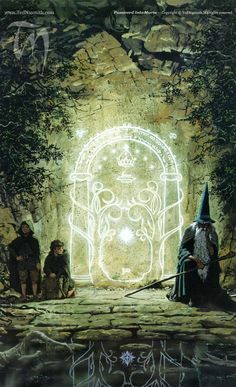 One enters via a hallway onto whose surfaces familiar maps and images from the tales have been brilliantly projected as illuminated animations, effectively drawing you in so to speak, to the terrain of Middle Earth. The interior of the exhibition is replete with treasures and curiosities of all kinds, ordinary and extra-ordinary alike. Tolkien's old desk and chair for example, intricate doodles on faded newspaper crossword pages, overlaid with Tolkien's exquisite calligraphy and snippets of obscure Elven phrases.....clearly works of art in their own right. There are photos and details of his childhood and early education, his time in the army during the First World War, the love of his life Edith and their four children: progressing sequentially through to his time as an Oxford Don and the beginnings of his writing, illustration and consolidation of his Elven languages of which astoundingly, there were sixteen. There are audio recordings too, featuring classic and well-loved Elven phrases and a large central 3D map of Middle Earth illuminating the route taken by Frodo and his companions from the Shire, through Rivendell and Lothlorien to Mordor. Particularly charming are the hand-written pages and illustrations from Tolkien's Letters from Father Christmas which he wrote and illustrated for his children for a full twenty-three years. There are letters from fans including the Queen of Denmark, Joni Mitchell and Iris Murdock, all in praise and wonderment at his achievements. 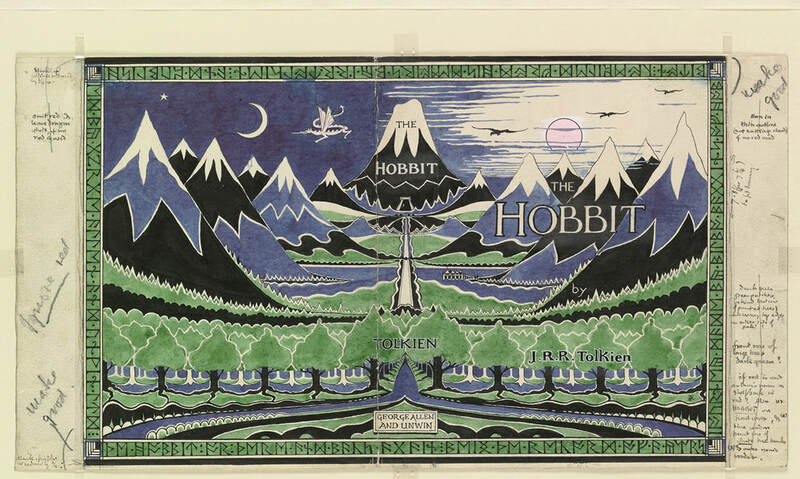 Prominently featured are Tolkien's own illustrations of his work, several of which have been enlarged and projected onto the walls. His original covers for three parts of The Lord of the Rings are displayed alongside his delightful Book of Ishness and some original manuscript from his founding epic The Silmarillion, all of which so perfectly depict the magical realms in a way which as in the writing, exhibit his unique capacity to juxtapose utterly sublime and visionary themes with the humble everyday concerns and comforts of life, like the importance of the hobbits second breakfast. He renders both with finesse and an almost transcendent lucidity. Judging from snippets of conversations overheard as we made our around, it seemed to me as if each person had their own very personal thing going on, their own deep and intimate connection with the landscape and characters of Middle Earth - as if they had personally traversed the difficult terrain, experienced the terrors, exhilarations and profound beauty of that world. And I marvelled at Tolkien's great genius at being able to realise and to animate such a realm and convey it simultaneously into our collective and deeply intimate and private worlds. He wanted to create a new mythology some have said, one rooted in the landscape of Britain and in the Northern countries to which he felt such affinity. It is abundantly clear and has been so for many years, that he suceeded in doing just that. A clever, clever man without doubt, an Oxford don, philologist, medievalist, creator of languages....and yet....his sucesss as a person, a husband and father as well as an author is rooted not only in these scholarly attributes but in his connection to and his deep humility in relation to something far greater than himself, as the following little story reveals. which seems to be everywhere without a visible source like light from an invisible lamp....and this gives me great comfort. I can only answer that of his own sanity no man can securely judge....I can only say that if santity inhabits his work or a pervading light illumines it then it does not come from him, but through him and you would not perceive it in these terms unless it was with you also. It is this most generous and inclusive recognition (to which I would like to return in part two) that marks Tolkien out as a man of real wisdom and that imbues his work with a purity all too rare in our contemporary world. Black Virgins, found mostly in France, Spain, Switzerland and Poland are widely believed to be ‘a survival and a continuation under a new name and a new religion, of the goddesses of the classical world.’ Goddesses like the Shulamite whose poignant voice opens the sublime Song of Songs in the Old Testament. This is a personal the story of a pilgrimage taken to Poland's own highly revered Black Madonna of Czetochowa. Many years ago when my children were small, we often visited Wales during the summer holidays. We stayed on a farm deep in the Carmarthanshire countryside. One year the Farmers wife gave us a present of Joseph Jacobs' Celtic Fairy Tales in which I discovered the legend The Shepherd of Myddvai and the Fairy Maiden (no direct relation to Arthurien Lady of the Lake but a distant relation if you like, who emerged from the depths, the same watery portal to the celtic otherworld from which such creatures may from time to time rise up to interact with us mortal folk. Over the next few years we visited the tiny village of Myddvai many times and took the long walk up the mountain side to the remote lake of Lyn y fan fach, where story is said to have begun. On returning home I wrote my own adaptation of the story with a view to recording it and was blessed to work with the lovely Ruth Churchill - Dower Chris Chambers and David Johnson who collectively helped bring it all to life. We performed it live several times and made a studio recording which has remained in our archive ever since. It is with great pleasure and fond, fond memories of all those involved in its creation that we have decided to issue it here this year. Who is the Sugar Plum Fairy? The Sugar Plum Fairy is related to a group of make - believe characters traditionally placed on the top of Christmas Trees or - fashioned from icing or marzipan – are used to decorate birthday cakes and the like. Frivolous creations yet frequently treasured by their owners, like the brightly coloured Nutcracker doll in the ballet story - each year brought down from lofts and attics where they reside for most of the year, carefully wrapped in tissue and old newspaper.....but please do not imagine that this is all they are. The Sugar Plum Fairy has deep roots in myth, in centuries old stories of mortal beings spirited away into other realms, magical realms that do not conform in the slightest to our everyday world. 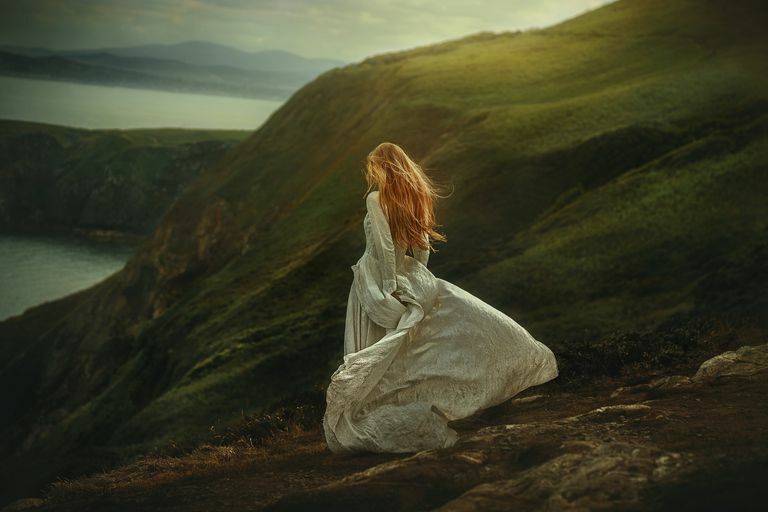 Oisin is famously carried away to Tir Nag Nog in the Irish legend, Taliesin to Annwn, the Welsh Other world and Thomas the Rhymer in the Scottish poem, who accompanies a beautiful lady to Elf land where he remains for seven full years. There are various ways of arriving in such places or states as they might be more helpfully understood. 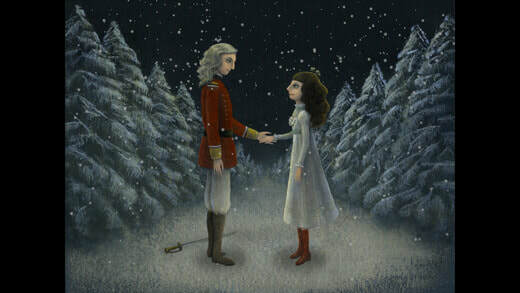 In the Nutcracker story, young Clara falls asleep beneath the lighted tree on Christmas Eve and like Alice, who drinks her magic potion, shrinks down to the size of her toys and dreams of journeying to an enchanted realm with the Nutcracker doll given to her as a gift by her uncle, the local toymaker. The imaginal world, the 'let's pretend place' if you like, is all at once animated, made real and true and the everyday world for the duration, pales into a kind of bland insignificance. Yet it is precisely because of these 'adventures' these extra-ordinary journeys into the beyond, that our everyday mortal world is enriched and made new. Joseph Campbell called such adventures The Heros Journey, the pattern of which is reflected in stories from across the globe. First he says, the hero must leave the familiar world, he or in this case she, must break away, however fleetingly from the enthral of the parent, she must cross the threshold between what is known and what is unknown. 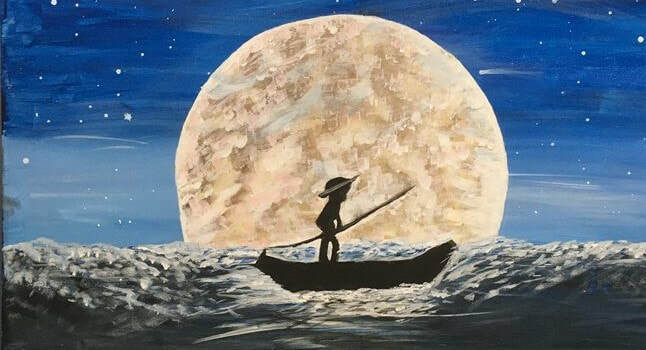 There will inevitably be difficulties along the way, obstacles and challenges to face that will ultimately lead her to grow up and she will come back changed, no longer a child but a young woman with the knowledge gained – the treasure if you like that she brings home from her adventure. In our story, it is almost as if in crafting and giving Clara the handsome Nutcracker doll her uncle is enabling this important transition from childhood to adolescence. In Joseph Campbell's scheme, this uncle could well be the wise helper whom the heroine is destined to meet. He is clearly the initiator of the adventure and knows full well the powers invested in his Christmas Nutcracker doll. He knows too of the Sugar Plum Fairy who inhabits the heart of the make – believe kingdom whom Clara is destined to meet. Parents of course are reluctant to let their children go and often do not recognise the moment when it is right to do so and so it falls to others, like Clara's uncle to create the opening for the adventure. In Tolkien's tale Smith of Wootton Major, it is the apprentice baker who steps in with a similar sort of magic. Every year a beautiful cake is made for the village children and in it is placed a lucky charm ( in truth a Fay-Star ) whose finder can thereafter travel there and back into the realm of Faery. A pretty pink fairy, not unlike our Sugar Plum is placed on top of the cake to add to the enchantment – but no one ever knows that she is actually a manifestation of the mighty Fairy Queen herself who rules over the enchanted realm with her husband the Fairy King – humbly disguised in this tale as the apprentice cook. Not all is what it seems to be at first glance you see and the fairy on the cake and indeed our own Sugar Plum are merely ways in which these immense archetypal energies choose to clothe themselves at what we might call - their lower octave - or frequency, the outer ripples if you like, of the deep, deep source from which they come to form. Well, the young boy who finds the Fay-Star ....Tolkien's alter ego it has been said.... travels at will between the worlds and becomes known as Star-brow, for whenever he returns from Faery, the star which is stuck to his brow glows and glows especially after he meets the Fairy Queen. But before Clara and her Prince can tavel to such a realm, they must first do battle with the seven headed Mouse King who appears after midnight in the sitting room with his army of mice. The battle is hard fought with each side alternately gaining and loosing in ascendency but then the mice get the upper hand and for a scary moment it seems as if the Nutcracker is defeated. The Mouse King swells with pride, momentarily taking his eye off the battle – but that one moment is all that is required by an emboldened Clara who grabs a gigantic slipper ...and hurling it across the room with all her might, hits the fearsome Mouse King in the head, knocking him down dead. Triumphant, Clara and the Nutcracker then journey across the skies to the enchanted Land of Snow during which time they fall sweetly in love. The Nutcracker becomes Clara's beloved, completing her introduction to the adult world. On arrival in the snow clad kingdom they are greeted by a troupe of delightful Dancing Snowflakes before continuing their journey onward to the delicious Land of Sweets, presided over by the Sugar Plum. They tell her of their battle with the household mice and she rewards their courage with a spectacle of seven lovely dances culminating in her own exquisite Dance of the Sugar Plum Fairy with it's tricky turns that is the pinnacle of the entire ballet. Clara then awakens from her dream, still clutching her beloved Nutcracker doll. She dances with him in her arms savouring the wonders of the night before. The curtain falls, the audience applaud rapturously if all has gone well, willing the curtain to rise up once more. The characters then dance one last time onto the stage to take their well earned bows, each in order of importance concluding of course with the delectable Sugar Plum who completes the grand finale. Yet surely this is a story for children and it is to the soul of the child or indeed the inner child that it calls. 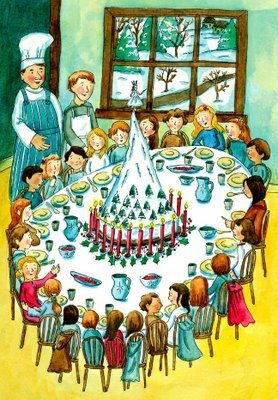 It is nostalgic certainly, a recreation of an ideal Christmas adventure into the world of the imagination – and - if you have spent any time with very young children, those who have not yet lost their innocence, you will know that this is just the kind of adventure they adore and from which they benefit hugely. They know full well the difference between dimensions – that toys don't actually come to life, that children don't actually shrink down to join them and do battle with household mice. They know clearly that the Land of Sweets is imaginary and that the Sugar Plum Fairy is a figment of this realm ....and yet....and yet...within its own ontology... to use a clever, yet perfectly precise word, such things are as real as real can be. So please don't scoff and turn up your intellectual nose - for the Sugar Plum Fairy, albeit fashioned from festive marzipan and frosted icing ... is not at all discontinuous with the Fairy Queen proper – as Tolkien has clearly shown us - the archetype - the goddess in fact before whom men quake in their boots and bow down.....and to whom, unless we have hearts of stone, we are all ineffably drawn. At Christmas time, in our Western traditions, alongside the more sober Mother of God, this is clearly how she finds her way into our everyday lives. 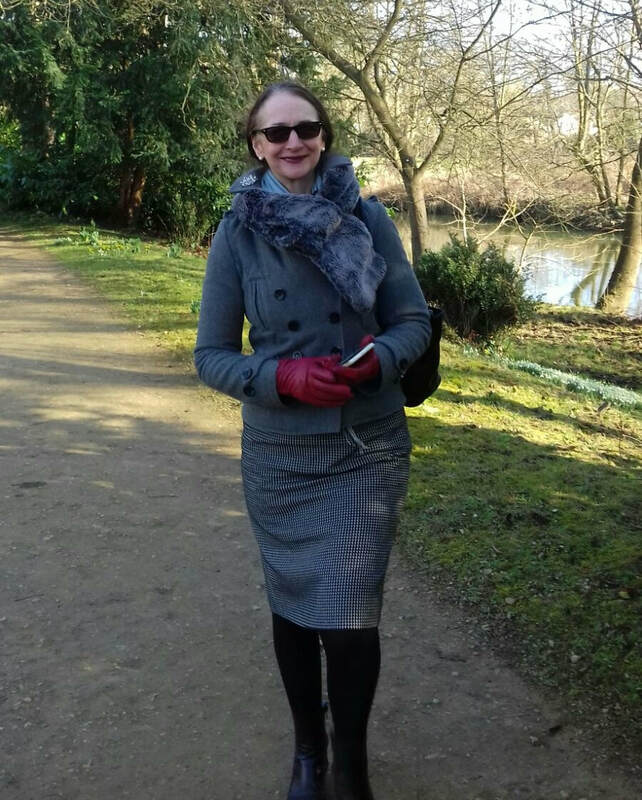 We can make her small if we wish, we can diminish her significance, like TinkerBell in Peter Pan - yet there she still is, every year delighting us with her magic. Like Oisin, Taliesin, Thomas the Rhymer and Star-Brow, Clara and the Nutcracker Prince all meet a Fairy Queen of sorts – and maybe it is fitting that our Christmas adventurers meet her in the form of the Sugar Plum, for it is said that to meet her within her higher octave, so to speak, is sometimes too awesome an experience. The Nutcracker is a taster therefore, a prepatatory initiation into the more grown up wonders to come. So have a mind to these deep connections when you place your own manufactured fairy atop your Festive Tree. 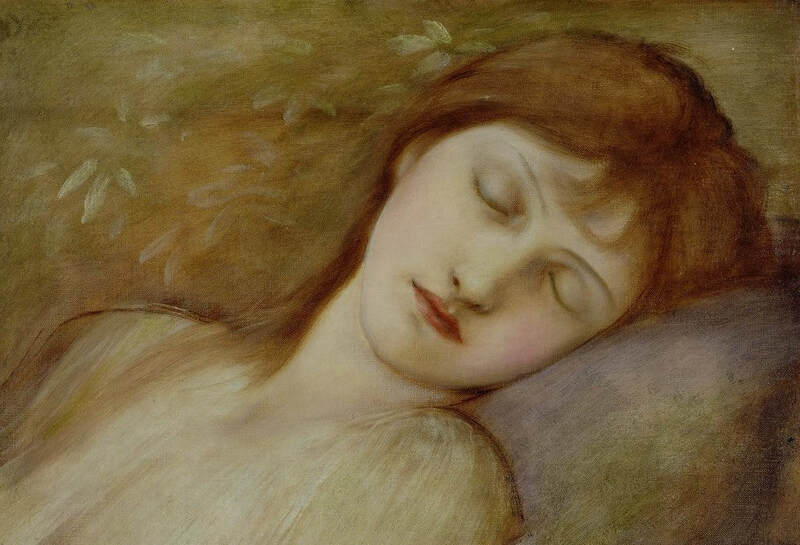 She is no lightweight - as innocent children see very well - she is a reflection of light itself - glorious and utterly compelling to behold - the feminine aspect of the the Divine within creation.